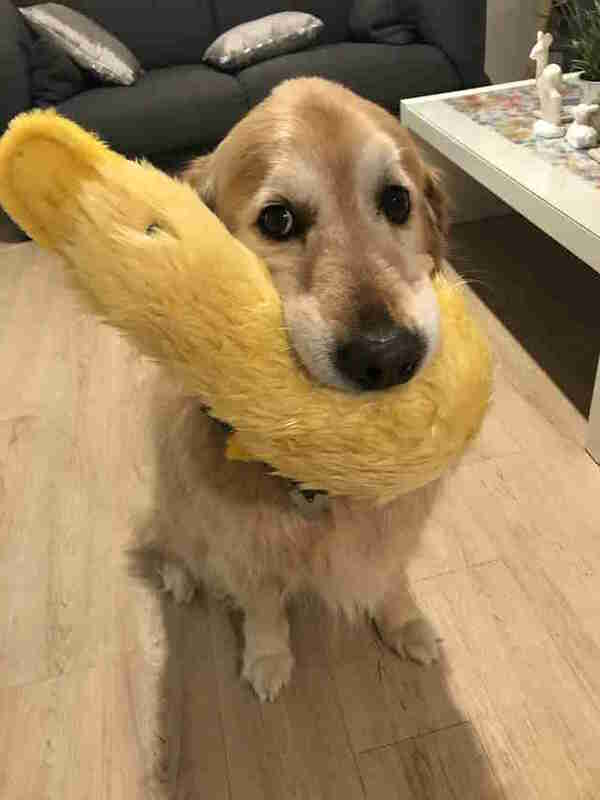 Zep has been with his family since he was just a puppy and is one of the happiest, goofiest dogs around, despite the many issues he’s faced throughout his life. 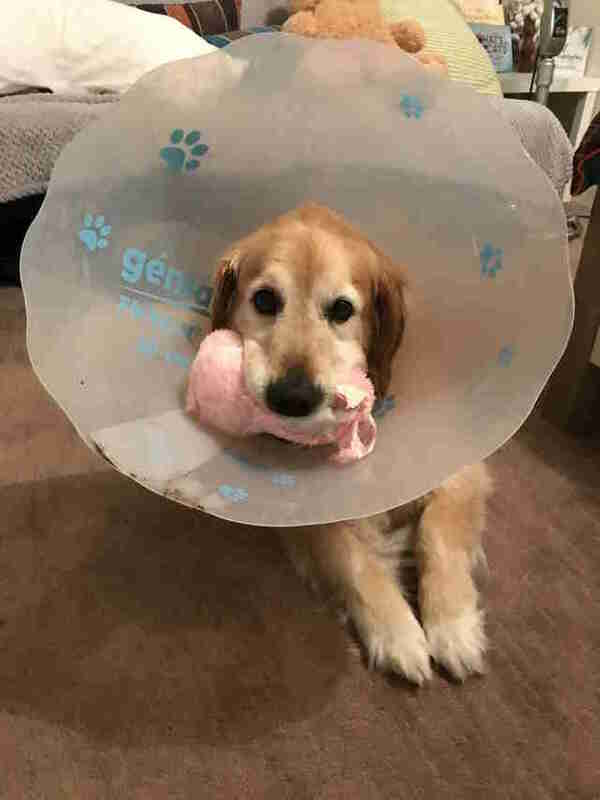 The now 10-year-old dog was diagnosed with cancer at the age of 3, and has been dealing with different treatments ever since. 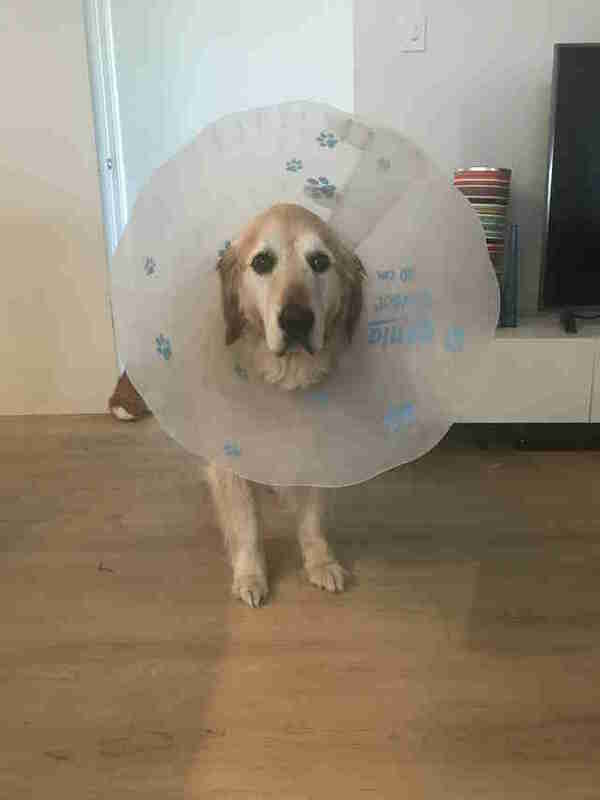 The cancer has also weakened his immune system, causing him to get sick a lot — which means he spends a lot of time wearing the cone of shame. With all of the sicknesses and procedures Zep has had to endure, he’s pretty much a pro at wearing the cone of shame by now. 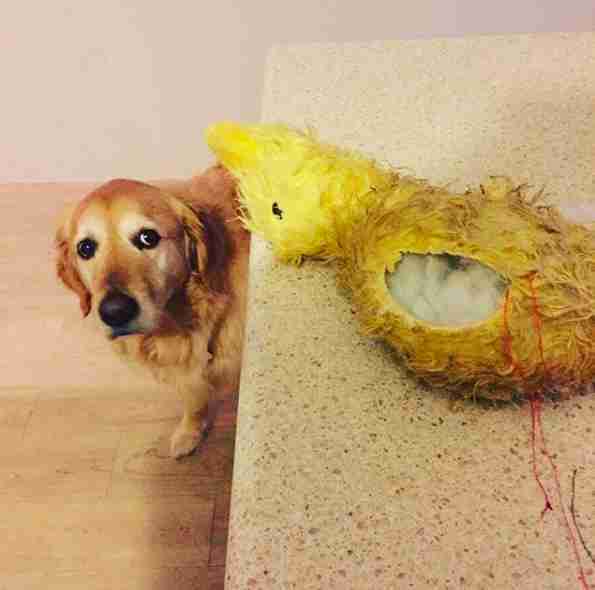 He never fights it, and while he doesn’t exactly love it, at this point, he knows how to cope with it. 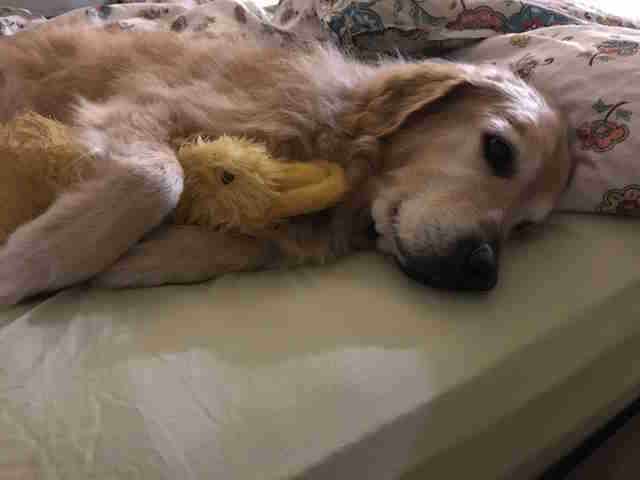 … and the fluffy yellow duck seems to bring him a lot of comfort and joy. … a toy who also happened to be wearing the cone of shame, just like Zep. 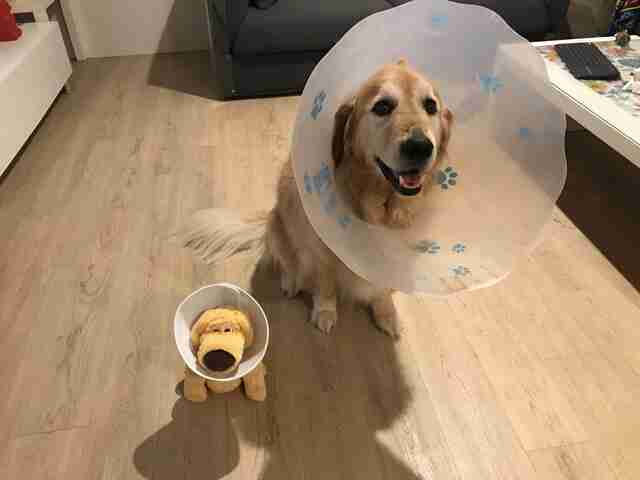 Gerick had bought the stuffed Dug toy in Disney World on her recent honeymoon, and later realized that he would make the perfect buddy for Zep, and might make him feel a little less alone while wearing his cone. You can follow all of Zep’s adventures on his Instagram account.